How is Living Threads Funded? Christmas looked a little different at my home this year. You see, my husbands father went to heaven this past summer. We had just lost his mom the year before, so this Christmas was our first without both of them. His mom and dad lived long lives, and we’re grateful for that, but the pattern of our lives has changed and the missing of them sweeps in at odd moments. Life feels torn apart, like it’s all fallen into a hundred different pieces, when we lose the people we love. We try to make sense, to accept comfort from God and friends, but the hurt, the missing of people we love, can feel overwhelming. Grief doesn’t disappear in a day, a month, a year. It makes a hole in your heart that can last for years. Which brings me to the following story. Several years ago a mom stopped at Living Threads holding a Meijer plastic grocery bag filled with random pieces of fabric. This bag held all that she had left of her 16 year old daughter. You see, this mom wanted to make a quilt in memory of her beautiful girl. For 10 years she had been trying to make something out of these scraps and pieces of her daughter’s clothing. Something that she could touch and feel as she remembered the stories of her daughter’s life. Her heart was hurting so that it was too difficult for her to do. She had come to Living Threads asking for help. Doesn’t the picture of the clothing mom brought remind you of how life can feel when you’re hit by grief? What was whole and beautiful is cut down and makes little sense. 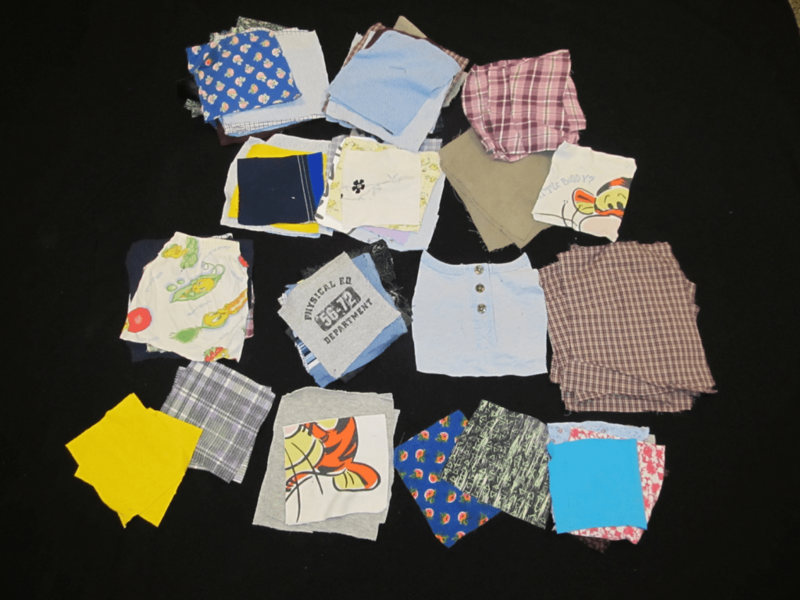 Living Thread Volunteers took these precious bits of clothing and made a beautiful patchwork memory quilt for mom. They covered mom with prayers as they stitched. 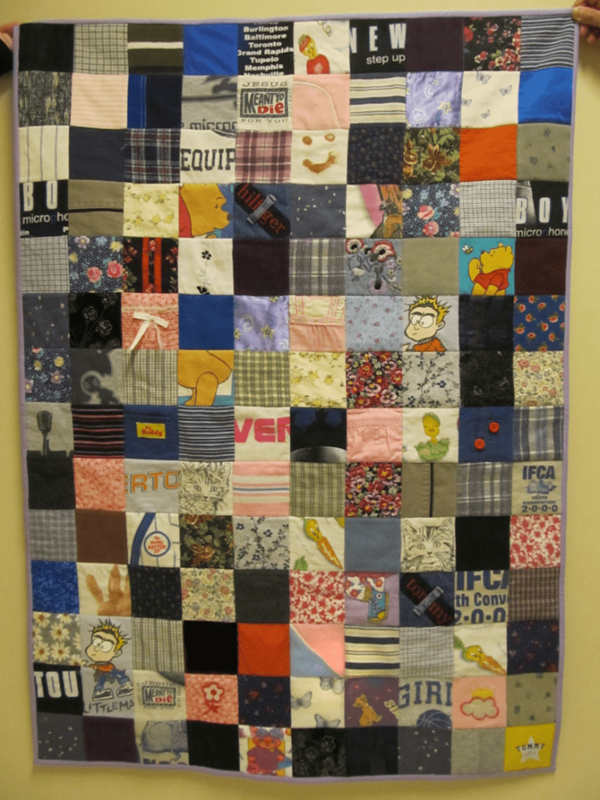 Mom knew that when she ordered this quilt she would be asked to make a donation of her choice for the hours that the volunteers spent creating it. Every penny of her donation went to help the children who live in the Kibera Slum in Nairobi Kenya. 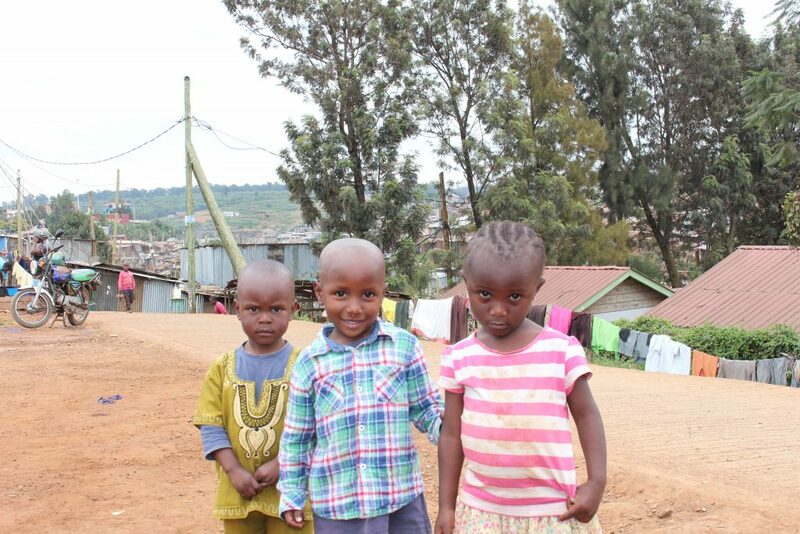 What a beautiful gift of hope for these children who live in desperate poverty, and what a beautiful legacy from her daughter. Watch a 3 minute video of how to create a memory quilt to honor your loved one click here.